The HTC HD2 (aka Leo) was perhaps the ultimate Windows Mobile device - the fact that hardware on the market has barely advanced since it was released a year ago shows how advanced it was for the time. 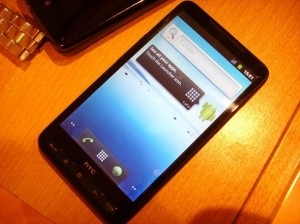 That also means the HD2 can handle the current crop of operating systems: case in point, a forum member of XDA Developers has managed to port the latest Android build (specifically 2.3.1) onto an HD2. Some stuff still isn't working (camera and contacts sync for instance), but most of the rest of the hardware is. Fancy a try? Let us know if you do! Just remember to back up your data first. This would be kind of interesting if in the process the HD2 sprouted a 850MHz 3G radio.